Description: It just figures that the love of Lindsey Water's life isn't alive at all, but the grim reaper, complete with a dimpled smile and Scottish accent. I thought that Between was incredible creative. Aiden and Lindsey move back and forth through time and space, travel to each other’s memories of their former lives. This way, we get to witness both of these characters experience a completely different setting and time that what they’ve known. 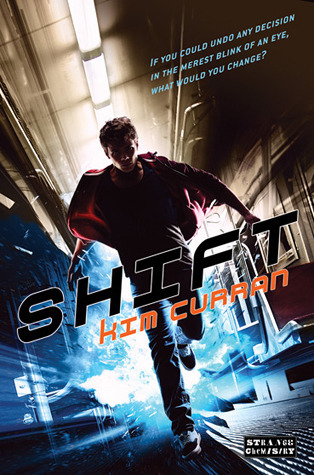 This was truly an inspired idea, because as readers we get a better understanding of the characters through their memories, yet it’s not an “information dump.” The plot continues to move as we travel through these different memories – the scenes play out like movies and Aiden and Lindsey take on almost ghostly roles. They can interact with each other during these memories, but they cannot interact with their younger selves or anyone else present. Besides these sort of memory replays, Lindsey and Aiden can both “cast” different locations they’d been to when they were living. This means that the setting is constantly changing and let me tell you, Tefft does an amazing job with each location. Through the book we travel to the Scottish countryside, a ball at Versailles and a French Chateau (through Aiden) and A tranquil cabin on a lake, to the Seattle Space Needle, An Aquarium and the Opera with Lindsey. Each place is described in such vivid detail that you truly feel like you are right there with the characters. The love connection between Aiden and Lindsey moved at lightning speed. I enjoyed their relationship, but I cannot help but feel like it was incredibly rushed. Lindsey also dealt with her own death better than one would expect. She did break down a few times, but not nearly as often as I would think. If your life was ripped out from underneath you at a tenderly young age, wouldn’t you be incredibly grief stricken? I think I would be a hot mess. She, however seems to be mostly concerned with Aiden. Although, I guess if I put it into perspective, I might be able to understand why they would have bonded so quickly. I mean, he’s been starved for true human interaction for 300 years and she just died. I guess it would be more prudent to focus on the hot Scotsmen than wallow about something you cannot change. I would probably get all clingy too. Let's talk about the storyline for a minute, because again, it is so wonderfully creative. When Lindsey dies in a car crash, Aiden appears to act as her transporter. It is his job to transport her to heaven. As the two proceed to interact, they quickly fall in love, even though the fear of separation is always hanging over them. They both know that at some point Lindsey is going to have to move on and it puts a terribly romantic spin on everything. Honestly, it’s such an incredible concept – forget about vampires, werewolves, angels, demons, faeries, mermaids or any other supernatural creature you’ve seen – let’s talk about an incredibly attractive, Scottish, kilt-wearing version of a Grim Reaper. 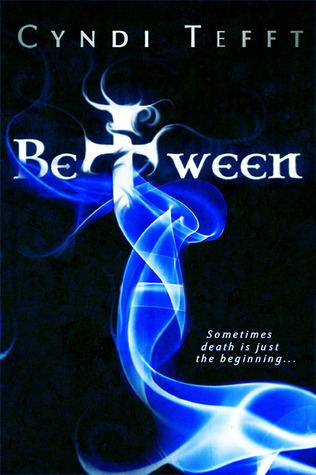 I think we can all agree that we are treading on new territory with Between. I also want to say something about the religion in the book. I for one, usually don’t take to books that deal with religious overtones, because they can often come off as preachy. That really isn’t the case with Between. I never felt like Tefft was trying to sway my religious views or anything of the sort – I just saw a wonderfully creative and heartfelt story. One last thing - how about that lovely cover? I would like to give mad props to whoever designed that one, because I instantly wanted to read Between when I saw it. I know; it’s terribly wrong to judge a book by its cover, but we all know we do it. I would never, not read a book based on a cover, but there is just something so wonderful about a cover that makes you go oh-la-la. 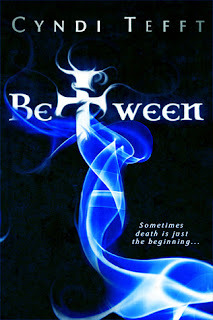 Between by Cyndi Tefft was an intriguing story that kept me constantly entertained. I see that there is going to be a sequel, Hell Transporter, but I do not know when it’s going to be released. I can tell you that I will be reading it. If you are a fan of paranormal romances or just romances in general than I could defiantly give Between a try. "I couldn't help but stare at the strength of his movements - swift and fluid in one way, but filled with an underlying power, like a lion at rest." "His smile was wreaking havoc on my insides, so I closed my eyes and took a breath to calm my nerves." "And your green eyes are the color of the hills - the color of my home." His voice dropped to a whisper. "Aye, there's something about you, Lindsey Waters." "Leather bound books lined one wall from floor to ceiling, their spines perfectly straight like soldiers in formation." "I wasn't sure if he meant the horseback riding or the fact that i had been pressed against him, but the answer was an empathic 'yes' regardless." "I kissed his temple and whispered words of comfort, wishing I could hold him tight enough to somehow make it right." "Gracious woman, what kind of thoughts have you been thinking that you don't want me to know?" "I love you," I whispered, my heart breaking into pieces." "Well, no wonder you guys were always trying to kill each other. Life is hardly worth living without chocolate." "I took him downstairs to the bathroom and explained the workings of the toilet. He was fascinated by the 'marvelous contraption,' which made me giggle."